Illegal investment activity is still rampant. As of May, Task Force Investments has handled 78 entities suspected of illegal investment activities. The amount is only slightly lower than the illegal investment handled Task Force in the same period last year, ie 80 cases. So to say, the case of illegal investment offer is not reduced. Only, this year the type of investment offer is suspected to be illegal in circulation is different. Task Force Investigative Chairman Tongam Lumban Tobing said this year the field of forex, cryptocurrency and multilevel marketing so the rifest. Referring to the Financial Services Authority data, as of May there were about 19 investment offerings allegedly illegal with cryptocurrency spice. 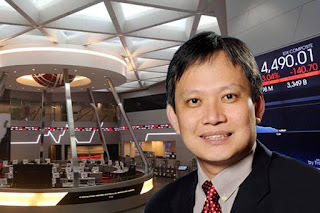 Financial Expert of Prasetya Mulya University Lukas Setia Atmaja said the volatility of crypto money is high. This is what makes the instrument can give high yields in quick time. "At the same time, there are still many people who think instantly in investing without considering risks," he said, Friday (25/5). Illegal entities that impersonate cryptocurrency generally use Ponzi schemes or pyramids. Such a business model is deemed to be unstable in the long term. "Usually companies that use the scheme only last a year or two, then the owner makes a new company again," said Lukas. But the Co-Founder of BlockChain Nusantara Dimaz Ankaa Wijaya questioned the validity of the Task Force in determining whether or not an entity is illegal, especially in the field of cryptocurrency. According to him, the growth of the benefits of cryptocurrency is the highest. For example, bitcoin prices rose 900 percent over 2017. With price increases reaching 900%, it is reasonable that the yield on bitcoin investment is considered unreasonable. But he did not deny, because at this time there is still no regulation governing the trade of cryptocurrency in Indonesia, illegal investment practices under the guise of cryptocurrency occurs. "Perhaps because the regulation does not yet exist, the Task Force has not had a clear formulation in treating entities engaged in cryptocurrency," he said. The Task Force itself asserted the blacklisted entity is an entity that runs operations without appropriate permits in Indonesia. The entity may be removed from the investment alert list when it has to take care of the permit under applicable terms.